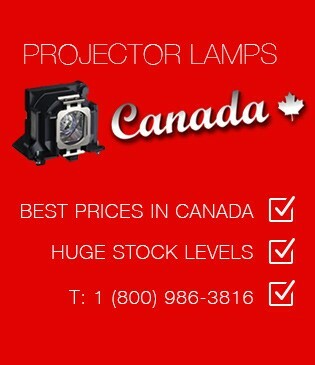 This page contains a range of informative articles, frequently asked questions and advice about projector lamps and bulbs, which the Projector Lamps Canada team has collected over the years we have been supplying lamps to our happy customers. Click on the links below for details on each. Click here for information and specifications for projectors. If you have a burnt out projector lamp or your TV bulb has stopped working you may find it convenient to find a new lamp for your projector or TV by searching by the bulb part code. The table below lists the brands we supply. Click on any projector, TV or interactive whiteboard brand to see a listing of available bulb/lamp part numbers. If you would prefer to search by the model of your projector or TV, please visit our find a lamp page.